I've never been in shoezone before. I normally wear very comfortable trainers but needed a smart pair of shoes for an interview a friend suggested shoe zone. I was very pleasantly surprised by the customer service. Very friendly, knowlegdable staff. One of the woman was busy putting out stock and didn't hesitate to help when I asked a question. This has not been my experience in some other high street brands in Oswestry. Keep up the good work and please pass my comments on. I was really pleased to find these black lace up daps in the men's shoes - they've been available in the women's department for ages. I've worn them pretty much all the time since I got them. They're really comfortable daps, strongly made and with good toe bumpers - they look great too. I think they should last well. The store assistant was really helpful and friendly and had a lovely smile all the way through. 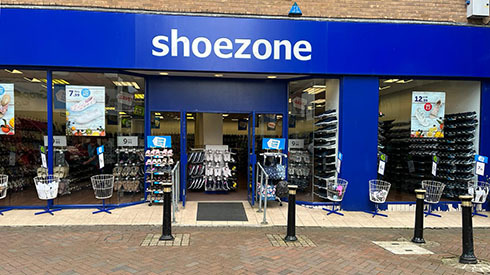 Well done Shoe Zone!